Tax Returns. Does each series file a tax return? The IRS answered this question last year, saying that each series is a separate entity, depending on the structure of the particular series. In the example above, each series would be a disregarded (single member) entity. 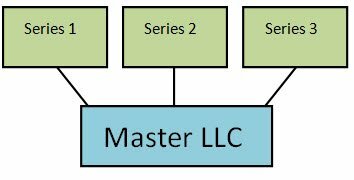 Thus all income from the different series would be reported on the main LLC’s return. Theoretically, each series can choose to be taxed differently, for example, an S corporation. Bank Accounts. Each series should have a separate bank account and/or set of accounting records.